Apple is set to unveil its news subscription service at a media event on March 25. Just days before the unveiling, the tech giant has assumed a greater role in the fight against fake news. The iPhone maker announced Tuesday that it would support three nonprofit organizations in the US and Europe with media literacy programs to fight the spread of fake news in the digital world. How do these organization fight against fake news? The three nonprofit organizations that will receive Apple’s support are the News Literacy Project (NLP) and Common Sense in the United States, and Osservatorio Permanente Giovani-Editori in Italy. All three groups offer news literacy training programs that encourage critical thinking and help people identify whether a news report is credible. Apple chief executive Tim Cook said in a statement that news literacy is “vital to sustaining a free press and thriving democracy.” Cook said he was “impressed by the important work” being done by the three organizations. Apple is going to support them financially, though the company didn’t disclose the details of its contribution. Retired journalist Walt Mossberg, who is a board member of the News Literacy Project, said Apple’s grant was the “biggest corporate gift” the nonprofit organization has ever received. It means Apple’s grant is higher than $1 million that Facebook gave the News Literacy Project to help revive its teaching tools last year. With Apple’s assistance, the NLP and other organizations will be able to expand their media literacy programs and resources. Media literacy programs teach young people how to identify different types of media and messages. They offer lessons and discussions on hidden messages, persuasive intent, and viewpoints of news reports. Students are also taught to analyze why something was created, who created it, and whether it’s credible. Common Sense offers a Digital Citizenship program that is taught in more than half of the American schools. On March 25, Apple will unveil a news subscription service and a video streaming service. The tech giant has invested billions of dollars into Hollywood to produce original content for its video streaming service. It has teamed up with popular celebrities such as Oprah Winfrey, Steven Spielberg, Jennifer Aniston, and Reese Witherspoon. These services are expected to drive Apple’s growth as iPhone revenues continue to slow down. The news subscription service has been rumored since Apple acquired the news aggregator startup Texture last year. However, the tech giant has been struggling to strike deals with news publishers as it wants to keep 50% of the service’s revenue. Publishers that have their own subscription service are reluctant to join Apple’s program. Fake news here to stay? The fight against fake news has so far proved to be an uphill task for Apple and other tech giants such as Google and Facebook. In the digital age, there is a lot of potential for slander, hoaxes, rumors, and other misinformation to influence people’s decisions. The spread of fake news and misinformation has not only influenced voters but also caused riots and lynchings in many countries. 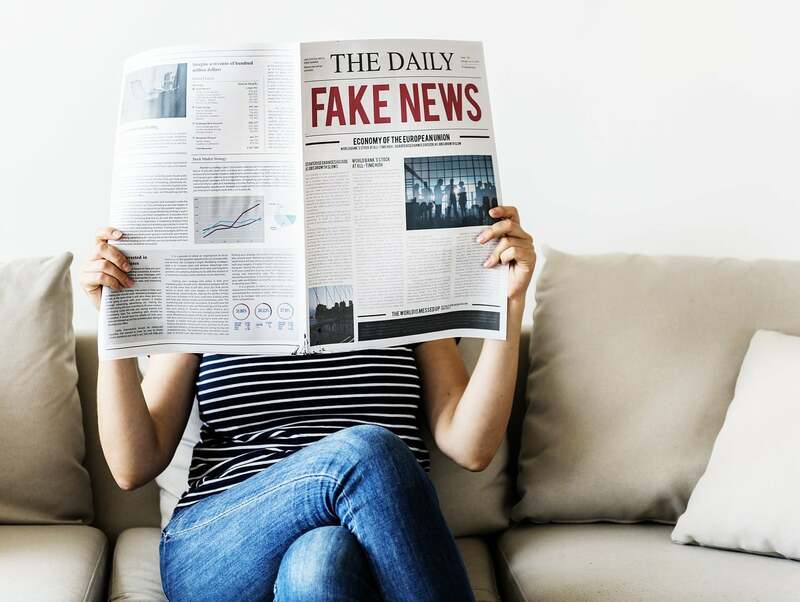 According to a report from NewsWhip, fake news engagement had declined slightly over the last two years, but it has started rising again in 2019. It makes sense to support media literacy at schools and colleges to fight against fake news. Other companies have also been doing their part, but it seems like fake news is here to stay. Facebook last year donated $1 million to the News Literacy Project and has set up a “war room” to prevent the spread of misinformation on its platform. Google has also launched an initiative called MediaWise in partnership with Stanford University, Poynter Institute, and the Local Media Association to improve media literacy.